Get $50 off your purchase of $200 or more! Can’t think of the perfect gift for your Valentine? We got you covered with 10 gift ideas for your sweetheart. Sale ends Saturday, February 14. Use promo code BEMINE. 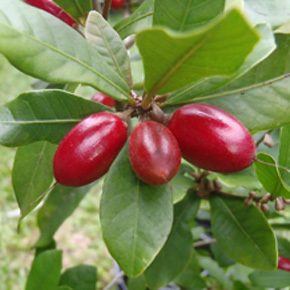 The miracle berry from West Africa transforms your taste buds making sour, bitter and tart foods delightfully sweet—making this a perfect Valentine taste bud trip! Experience the magic of the miracle berry along the dramatically lit trails of Cockrell Butterfly Center rainforest. Enjoy a variety of foods selected for their high-impact miracle berry transformation. Advance tickets recommended by February 8. Click here for tickets. An Evening Under the Stars! Do something different this Valentine’s Day! Join Carolyn Sumners, HMNS Vice President of Astronomy and Physics, as she shares behind the scenes tales of space exploration and leads the group on a tour of the night sky. The evening includes a reception in the exhibit halls, a three course seated meal with wine pairings and a chance to fall in love for the first time … or all over again. Make your plans early as this fabulous evening event sells out each year and seating is limited. Advance ticket purchase required – deadline is February 9. Previous Post Top 10 Tokens of Affection from the Museum Store for Valentine's Day!